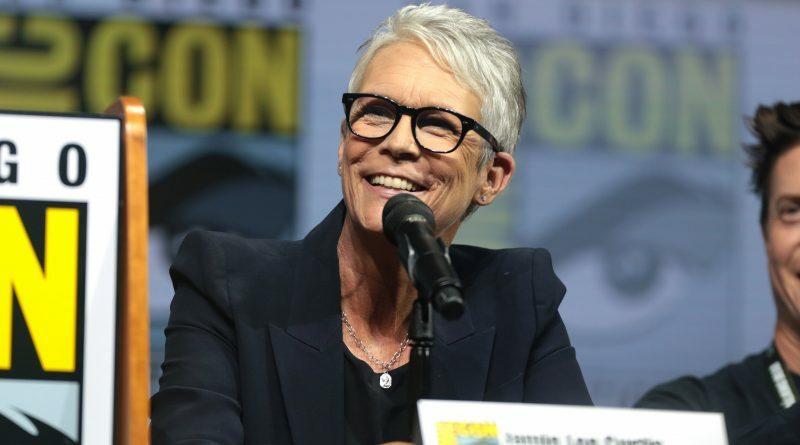 Jamie Lee Curtis reprises her role as Laurie Strode in the eleventh instalment of the Halloween franchise. Photo credit: Gage Skidmore. Last month, Halloween was released. The American slasher film was directed by David Gordon Green, and written by Green, Jeff Fradley, and Danny McBride. It’s forty years after the massacre in the town of Haddonfield, Illinois has happened and once again, Halloween is coming. We first follow two true crime podcasters who have become almost obsessed with Michael Myers, and the idea that he is “pure evil.” They take a trip to a psychiatric hospital where he’s being held to interview him, but end up trying to antagonize him more than anything. Shortly after, they take another trip, but this time it’s to Laurie Strode’s house, where they offer her three-thousand dollars for an interview, which she doesn’t turn down. It turns out she has a serious case of PTSD, and has worked on booby trapping her home for forty years. She’s also become very familiar with guns, and has become somewhat of a sharpshooter. Soon, the mental facility transports Michael Myers, but ends up losing him during the transportation process and once again, all hell breaks loose in the town of Haddonfield on Halloween. This time however, Laurie Strode is ready and is hunting down Michael Myers, instead of the other way around. 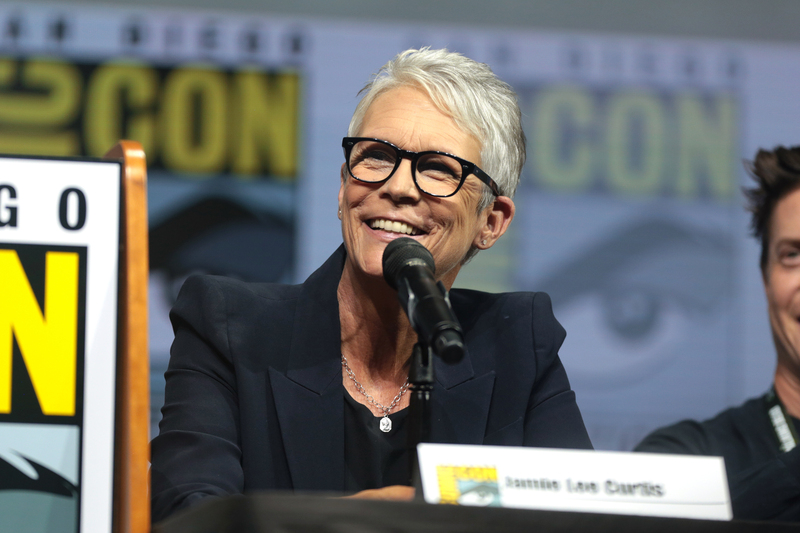 It is the eleventh installment in the Halloween franchise, and while the film is a direct sequel the 1978 version, it isn’t directly linked to the original story. Basically, the ending of the first film was retconned, and the rest of the sequels were ignored. It’s not exactly a reboot, but rather a reimagining of the films. Even with being the eleventh installment, and another reimagining or retelling of almost the same story, this film manages to stay fresh and even stands out among the rest of them. It isn’t as good as the first film, but is the second best in the entire franchise. Jamie Lee Curtis reprises her role as Laurie Strode, and so does Nick Castle as Michael Myers, with James Jude Courtney doing the stunts for him. The acting in the film is nearly perfect, and all of it feels very real. The story is fresh because it’s about a woman who’s lived in fear for forty years, finally taking back her power. She’s been waiting to not be a victim anymore, and to put an end to all of her trauma. She does this by hunting down the man who caused all of her trauma, in order to kill him. It all ties in with the Me Too movement, according to the filmmakers. It’s also beautifully shot, much like the old film and serves as kind of an update as to how the old film would look if it was done in 2018. It’s not exactly a cinematic masterpiece, but it is visually enjoyable to watch. So many people die in this film that you’ll probably lose count if you’re not writing it down. There are so many kills that even for a slasher film, it’s a bit much. However, the kills are entertaining and at the same time, scary to watch. The film plays a lot on that line of being scary and too real, while staying in that dumb slasher film space. The movie is definitely worth watching as it encapsulates what the Halloween Franchise is supposed to be. It pays homage to the original film, while being something special on its own. It’s fresh, entertaining, funny, scary, and sad all at the same time. It keeps you on the edge of your seat, and relieves tension at the perfect times.